Good Stuff NW: Kitty Has Puppies! 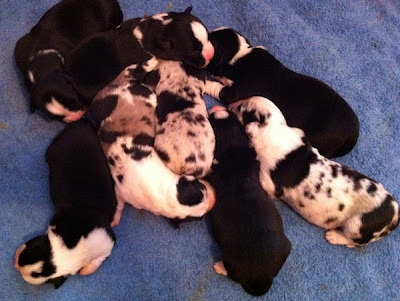 What's a better start to the holiday weekend than seeing a pile of Cardigan Corgi puppies? These guys (well, five guys and three girls) are just 10 days old. 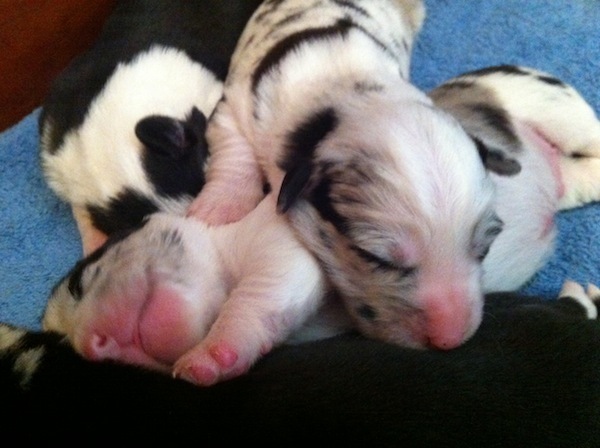 Their eyes are still closed but they're fat and wiggly and demanding regular feedings from their mom, Kitty. Oh, and don't worry about being tempted…they're all spoken for, thank goodness! I'll be posting on their progress, so check back soon!